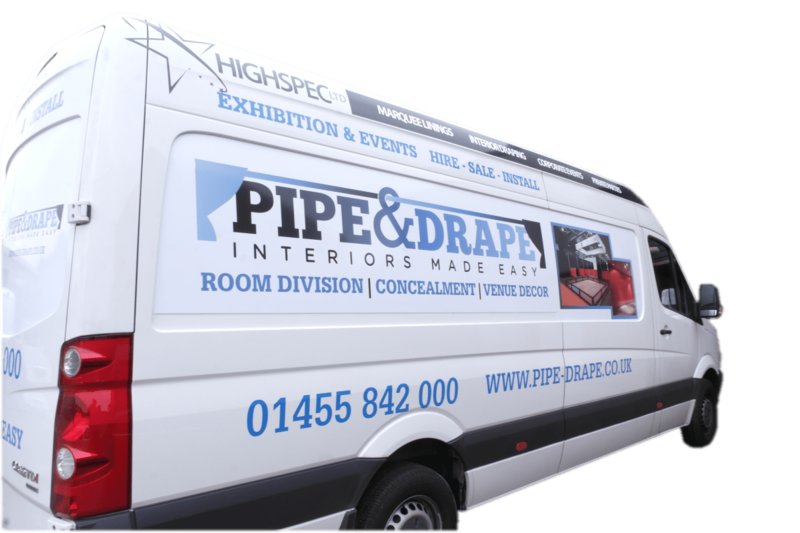 Centrally located within our own facility we are well placed to meet your pipe and drape needs. Our complete focus on flexibility, customer consideration and quality together with a firm understanding of the pressures on deadlines. We respond to your needs in a positive way, giving you the confidence to satisfy the needs of your clients and events on time every time!